If you've shopped online for anything, you can shop online with us. Get started with the search box in the upper right corner. Or maybe you need a recommendation. Keep reading if you've got questions or give us a call at 617-491-2220 or send an email to info@portersquarebooks.com. 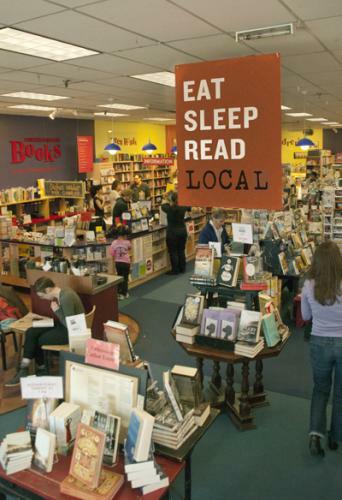 Porter Square Books sells hundreds of thousands of books online, from current bestsellers to classics still in print. Online orders can be shipped, gift wrapped, picked up at the store, paid for online, or paid for in the store. When you place an order, you'll get an automatic email letting you know the order went through the system and a second email from a human with more specific details. To get started just search for the title, author, keyword, or ISBN in the search box in the upper right hand corner of the website. If you're looking for ebooks, use the search box on the left. And we now sell digital audio books here! Below you can find more information about our Inventory Status, our search engine, shipping, and signed copies.